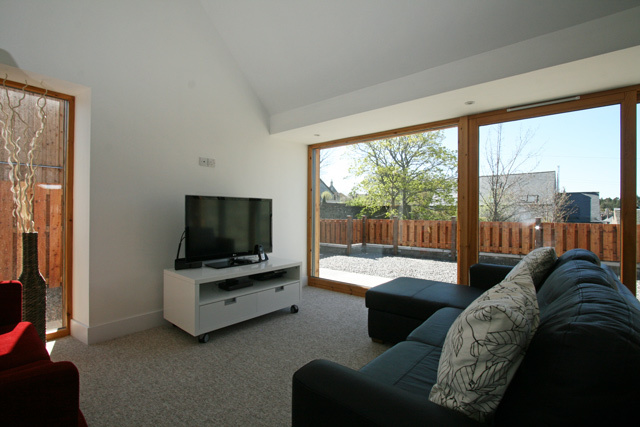 Foiseil Cottage is ideally located in a quiet position just a few minute’s walk from the centre of Grantown on Spey. 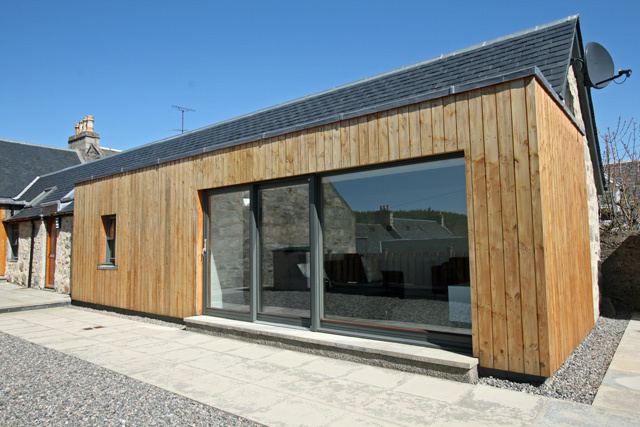 The property is newly converted and now complete provides striking contemporary accommodation ideal for a couple or a single person looking to explore the Cairngorm National Park. 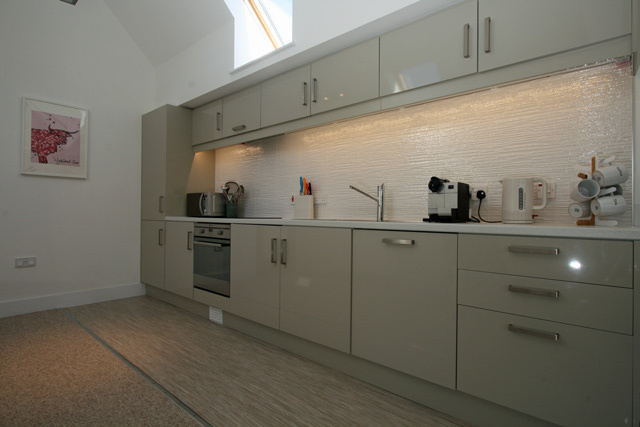 The accommodation is on all the one level with the sitting room , dining and kitchen all being open plan, this area is spacious and light with floor to ceiling windows overlooking the garden area and a vaulted ceiling. 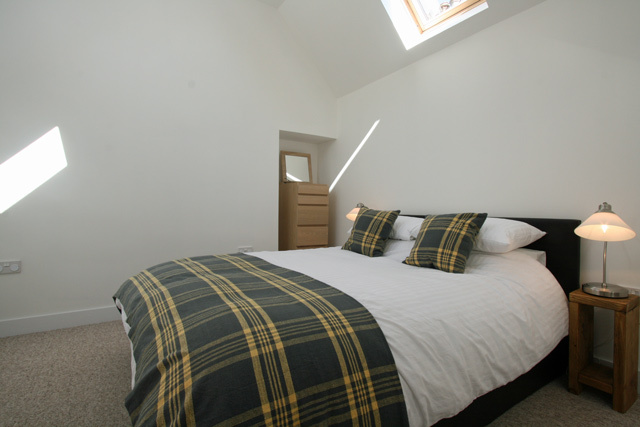 Located off this area is the bedroom with a king size bed and a beautiful bathroom with a bath and shower over. 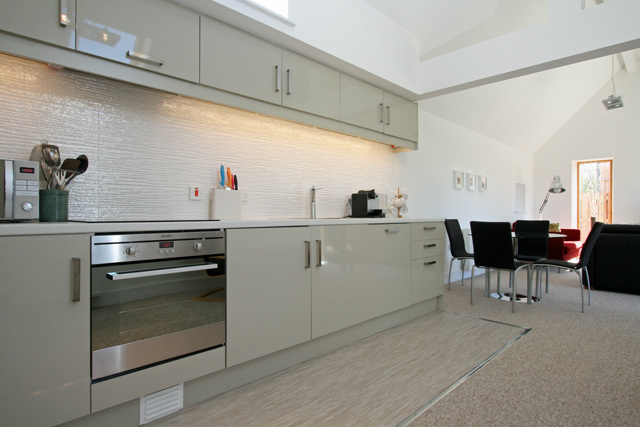 Throughout the property is tastefully furnished and equipped to a high level. 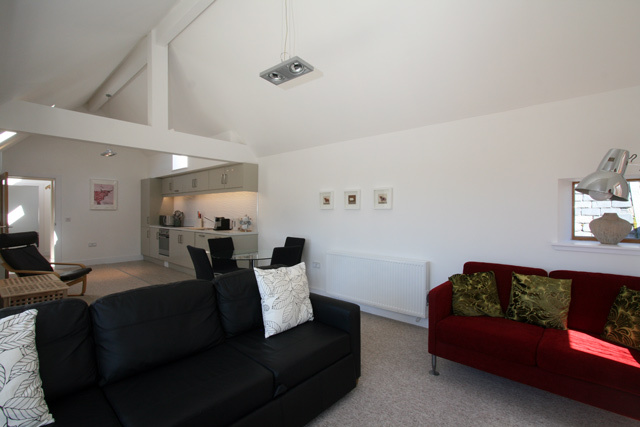 Technology wise this property has it all, wifi internet access, Sonas Wireless speaker for your iPod, flat screen 3D television with Freesat Digital, Apple TV and Netflix, and even a Nespresso coffee maker for the caffeine addict. Outside the property has a small area of courtyard garden, complete with garden furniture and a barbecue. Lockable storage is also available for a couple of mountain bikes or other outdoor gear. Parking is also provided for two cars. The town offers a good range of facilities for the visitor including a supermarket, numerous cafes and restaurants, unique independent shops and a museum. 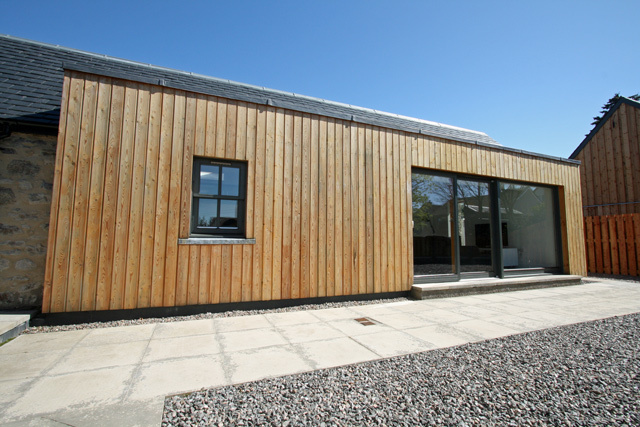 For the outdoor enthusiast the area has much to offer, for the golfer the town has its own golf club and others are located just a short distance away in Boat of Garten and Carrbridge. For the walker there are numerous trails including Anagach Woods and for winter sports the Cairngorm Mountain near Aviemore is located 22 miles away. 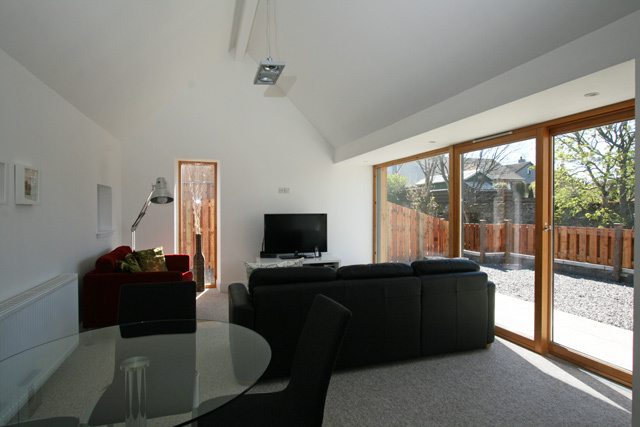 Sitting room, comfortable sofas, flat screen 3D TV with Freesat, Apple TV and Netflix, Sonas wireless speaker. 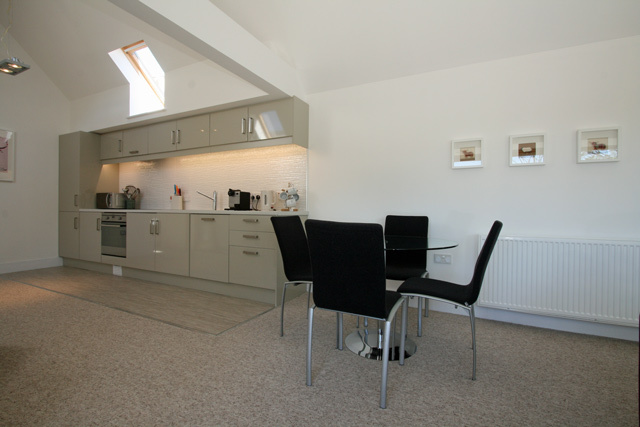 Kitchen area, electric oven and hob, fridge/freezer, microwave, dishwasher, washer/dryer, Nespresso coffee machine, dining table and seating for four. 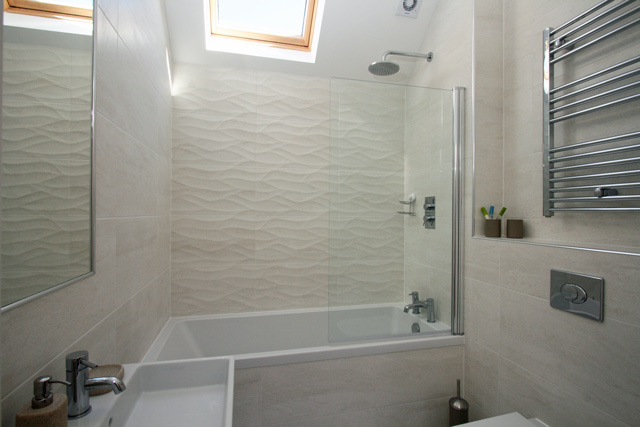 Bathroom, bath with rain shower over, wc, whb, heated towel rail, under floor heating. Telephone for emergency calls, and local calls on an honesty basis. Outside garden area with garden furniture and barbecue. Secure storage for two mountain bikes or other outdoor gear. Please note although the property is all on the one level, access is via a steep staircase, which may make the property unsuitable for elderly guests or those with walking difficulties. 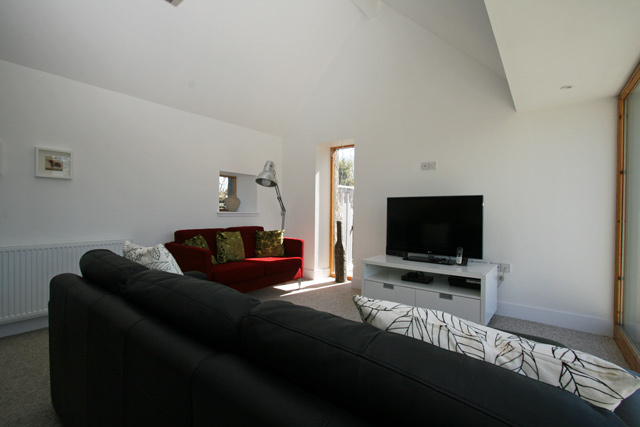 A sofa bed is available for a maximum of two guests, please advise at the time of booking if required. Village amenities just a few minutes walk away. 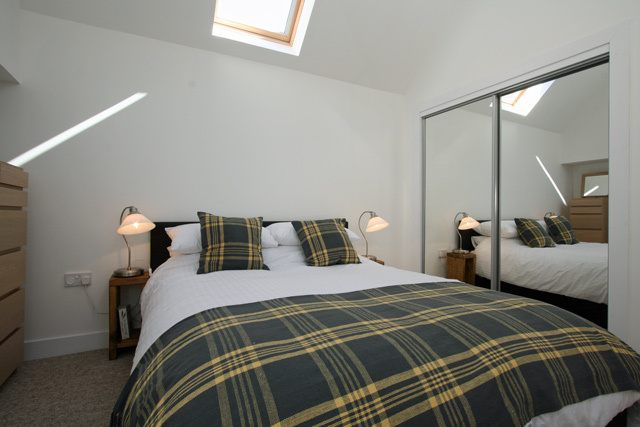 An ideal base for exploring the Cairngorm National Park.